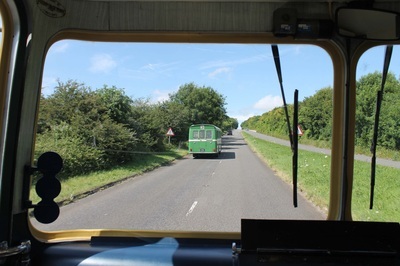 What a fantastic weekend. 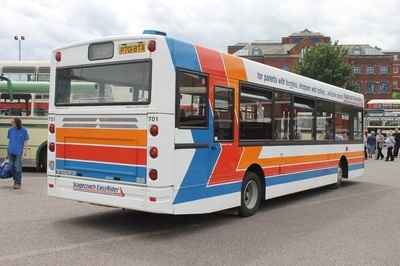 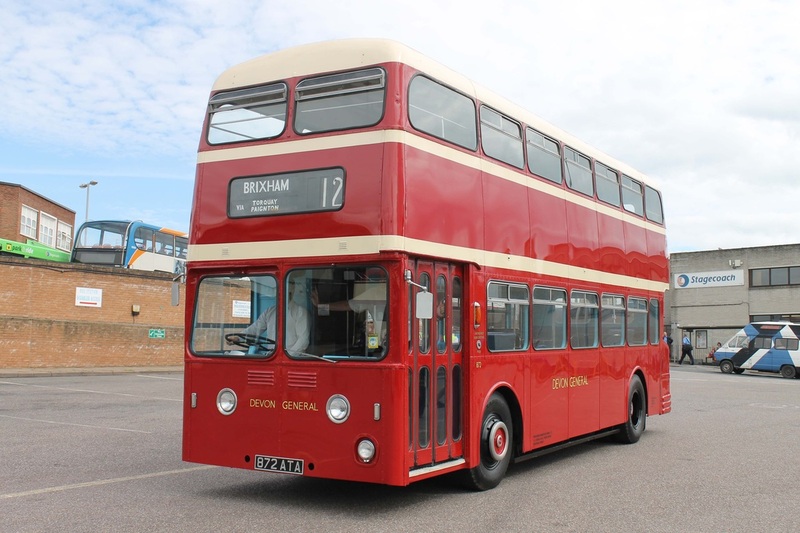 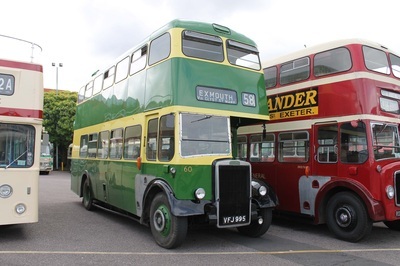 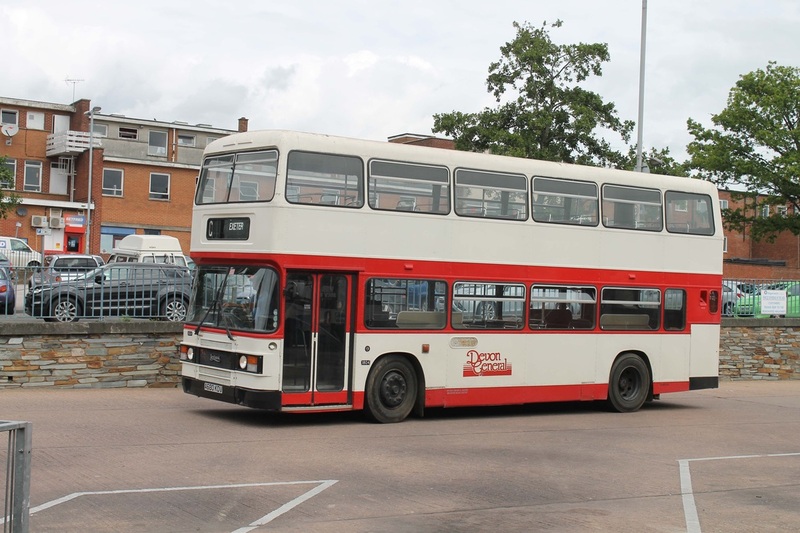 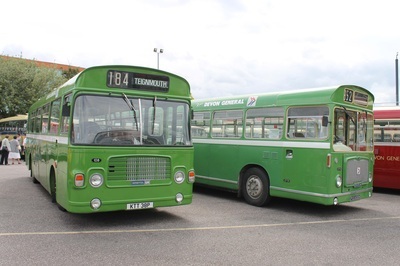 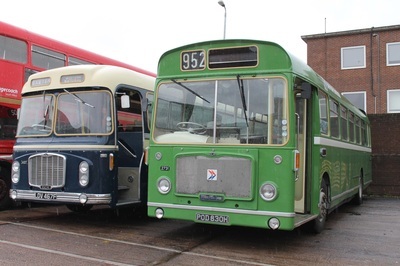 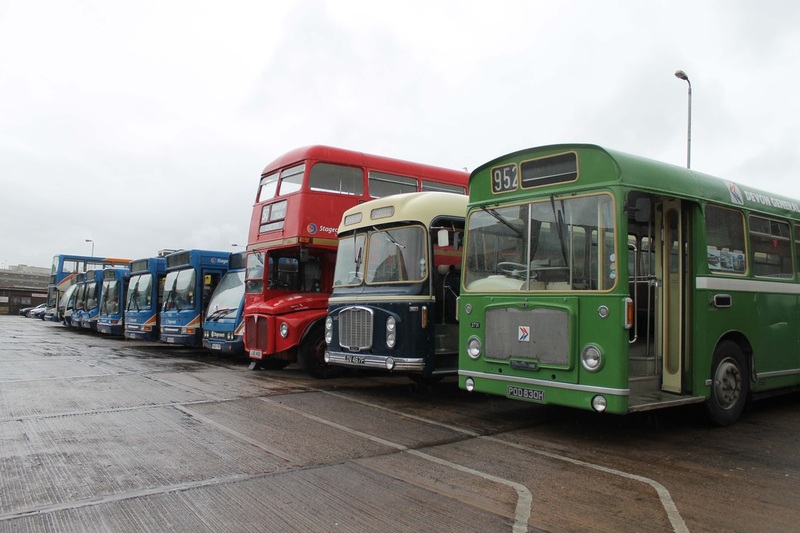 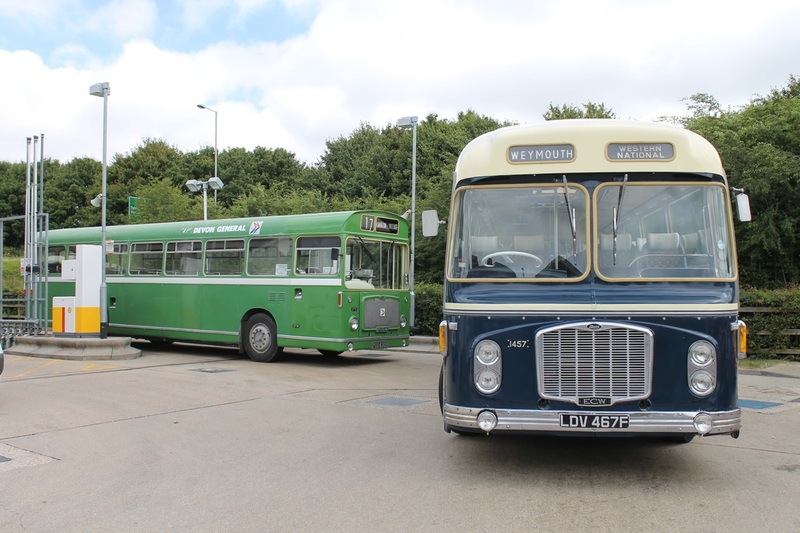 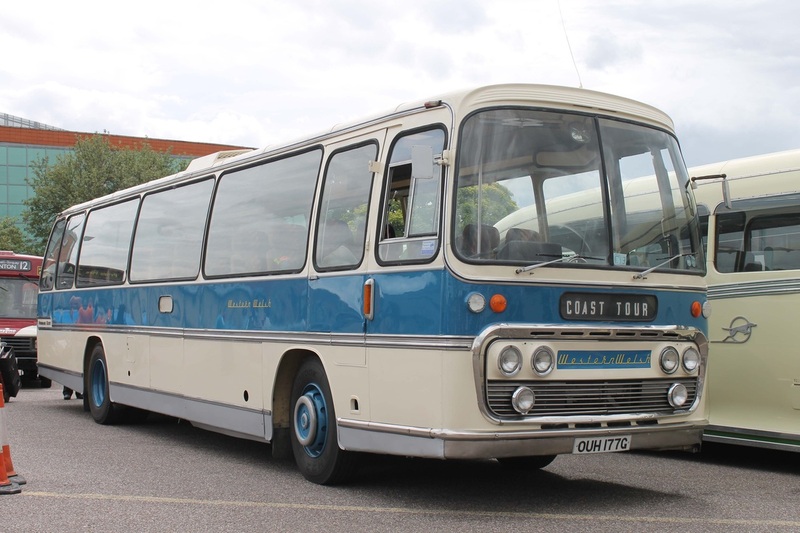 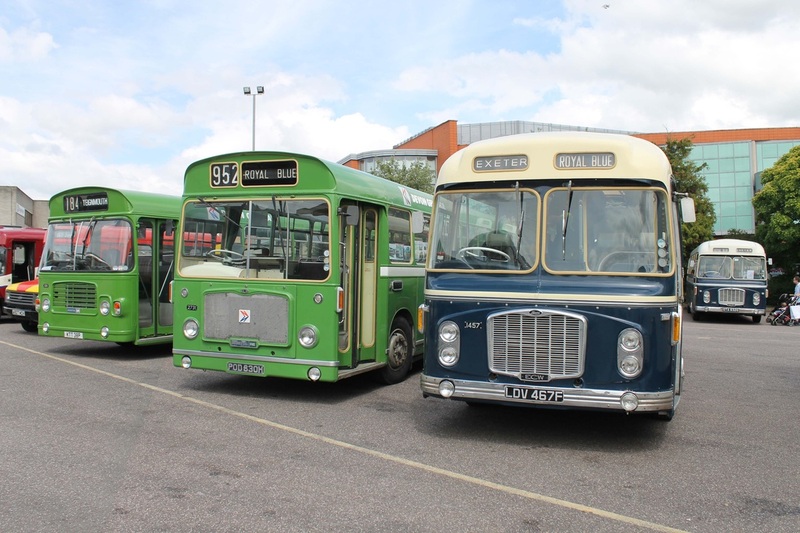 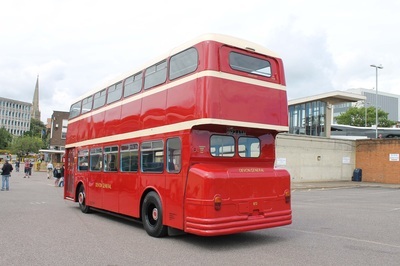 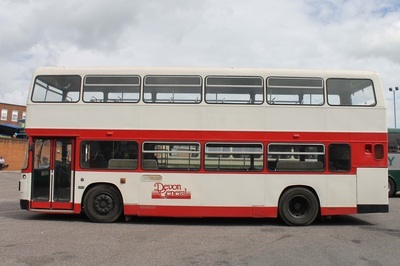 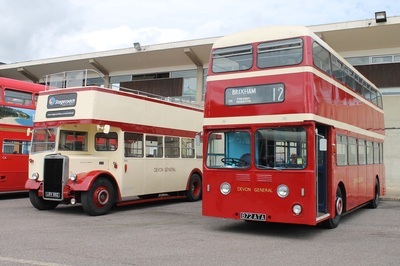 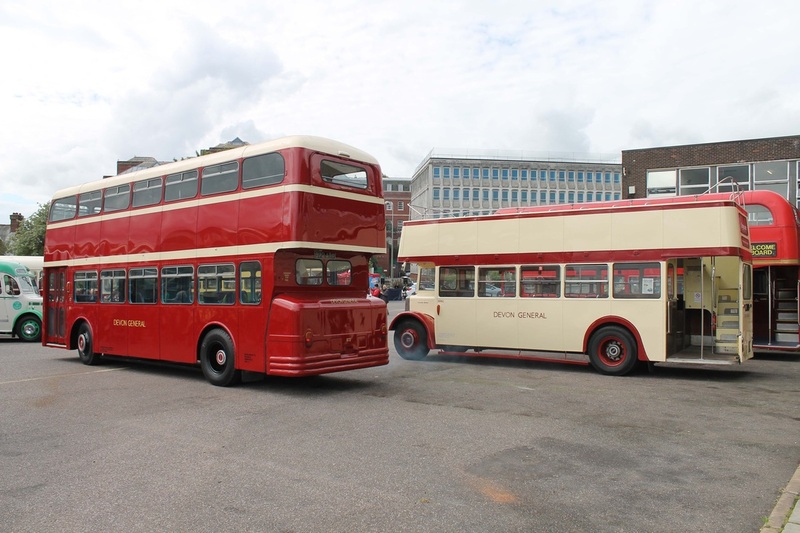 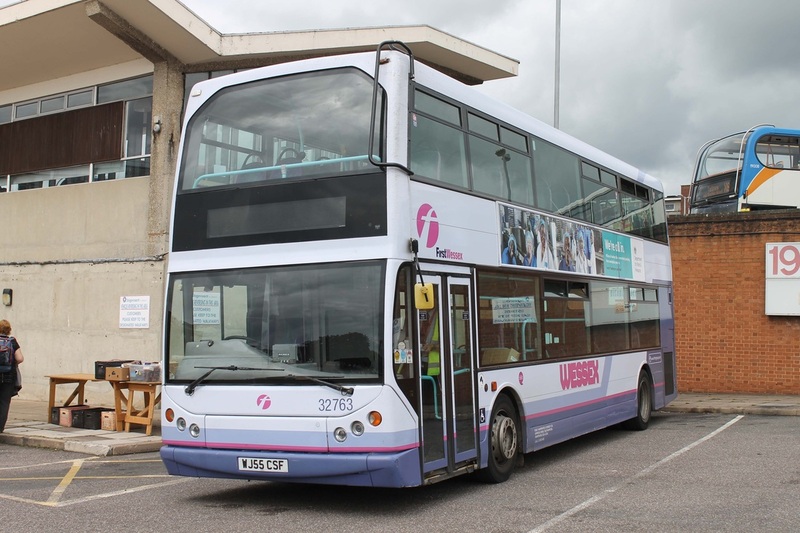 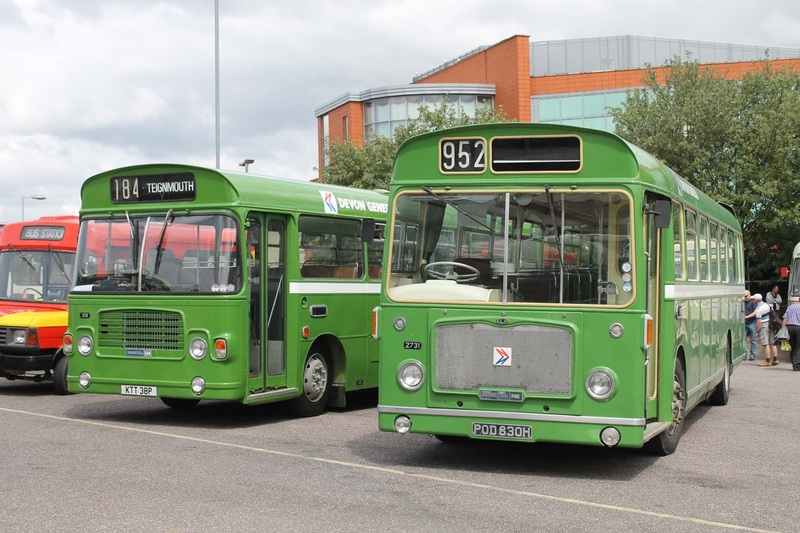 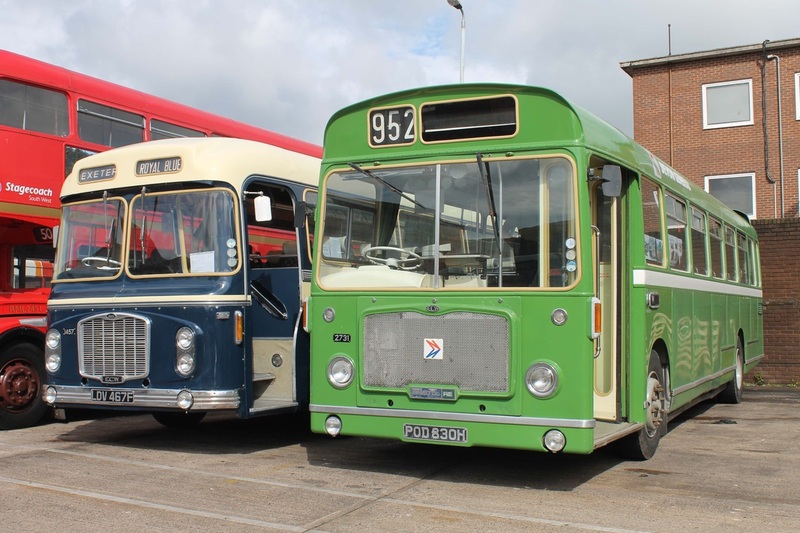 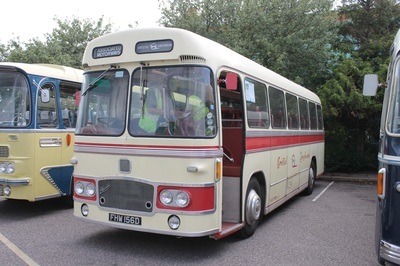 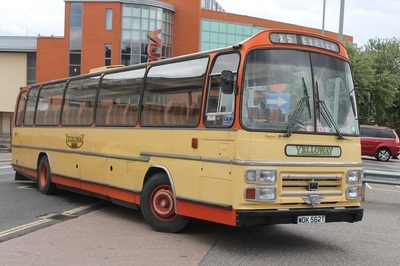 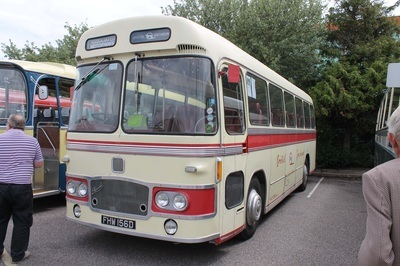 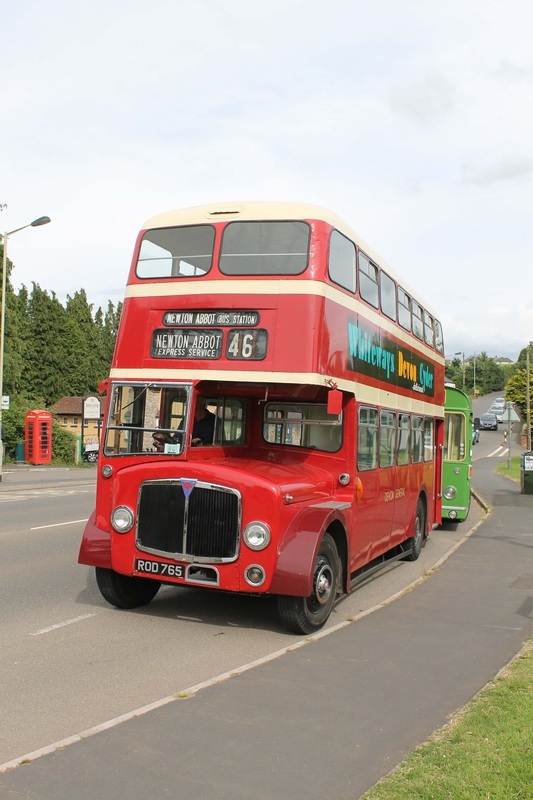 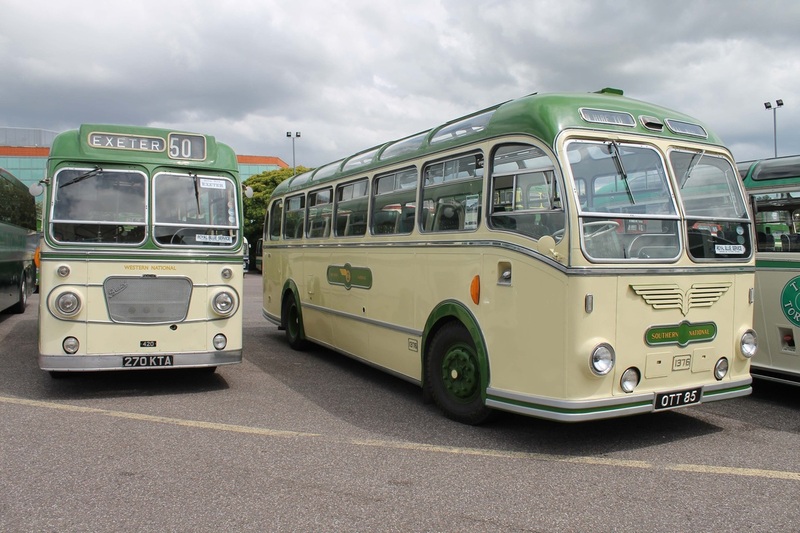 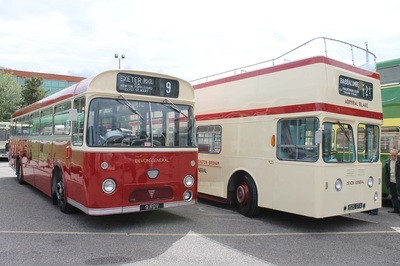 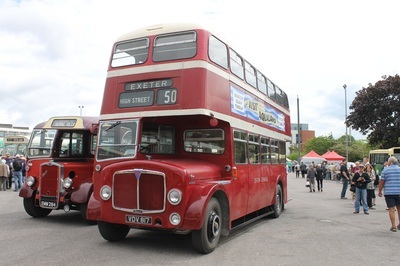 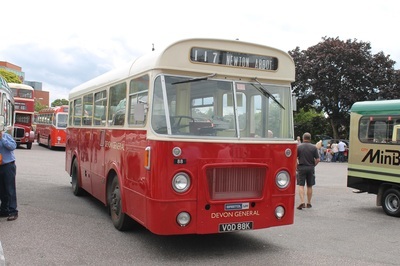 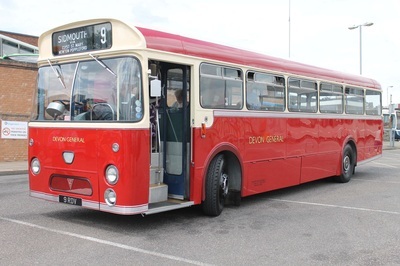 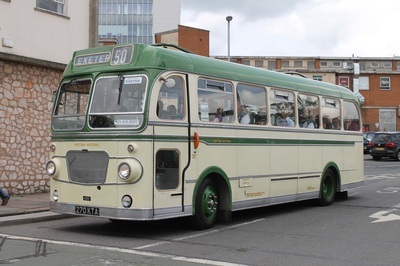 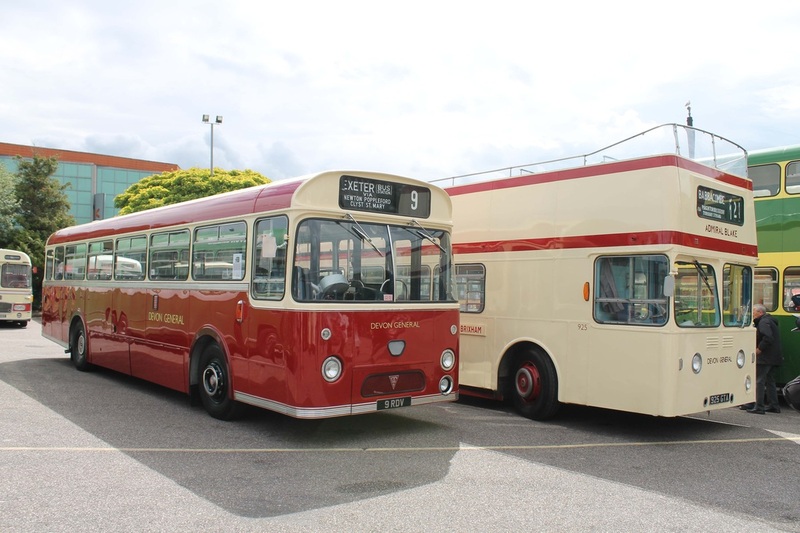 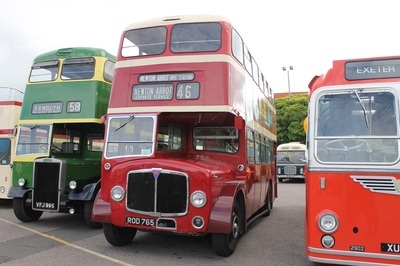 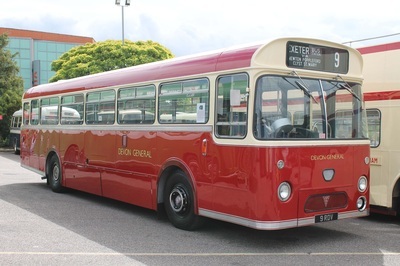 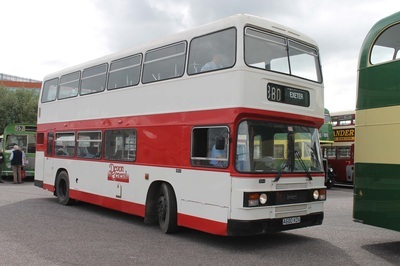 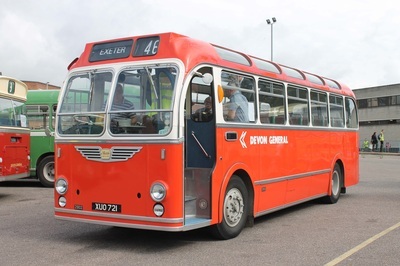 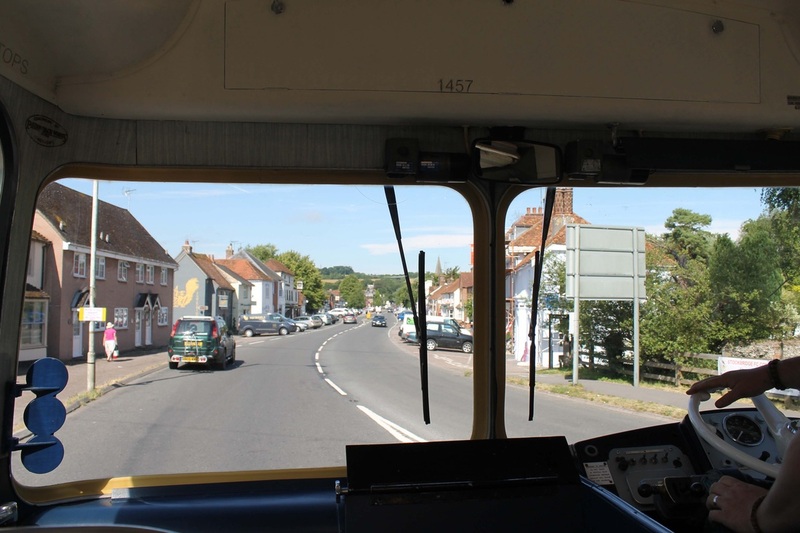 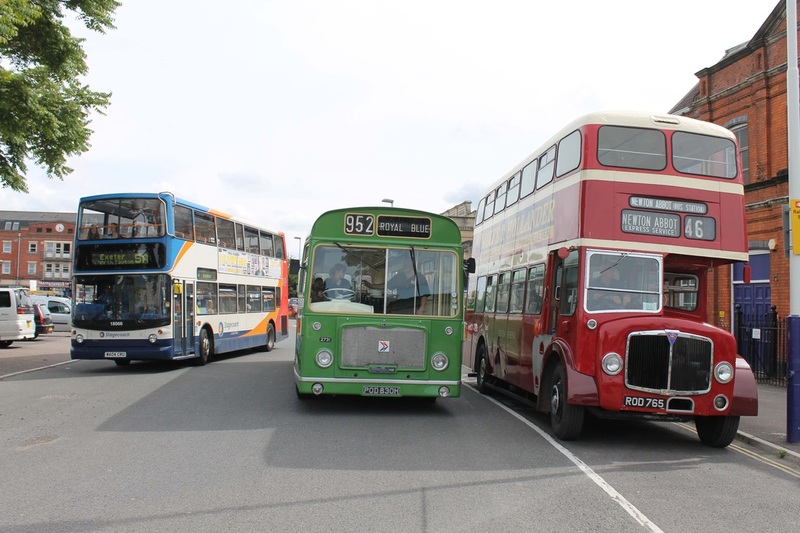 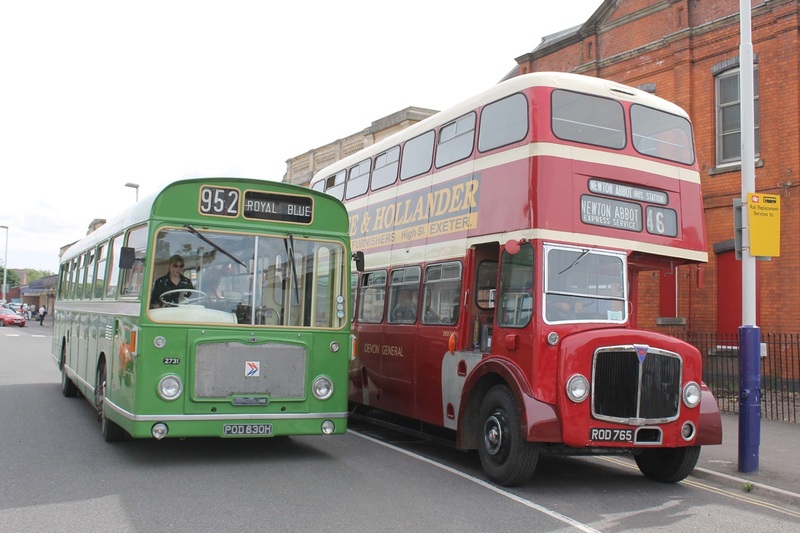 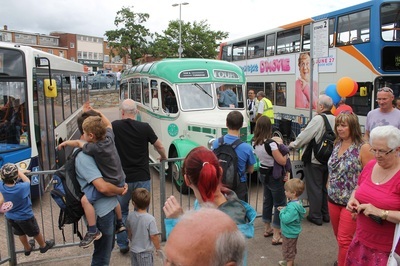 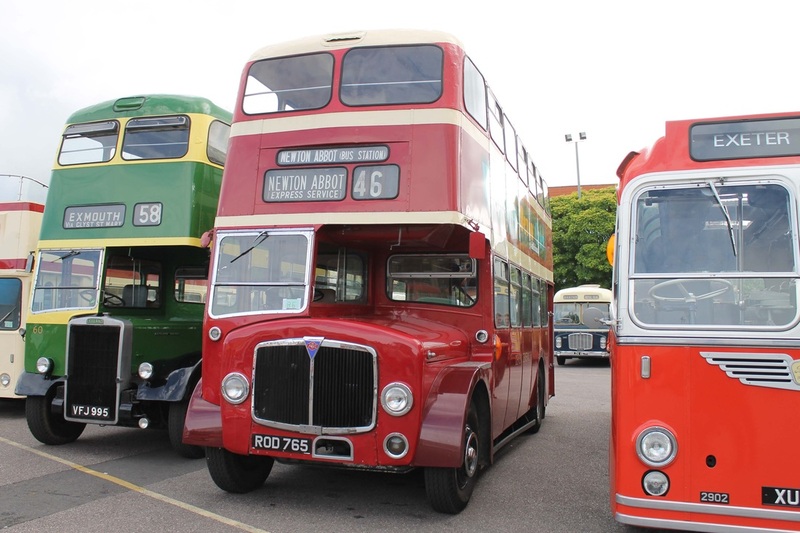 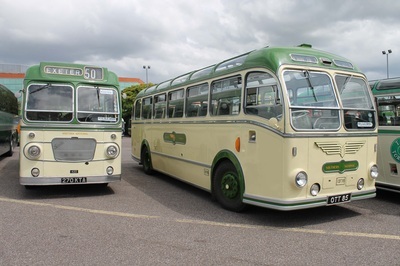 From our 'group' KKT 38P, POD 830H and LDV 467F all attended the event on Saturday 5th July in order to celebrate fifty years of the bus and coach station. 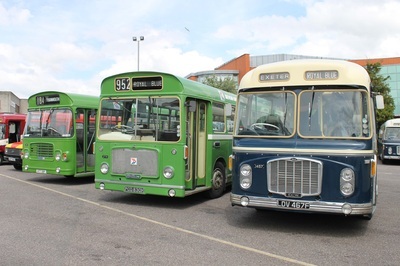 The three vehicles joined a wide range of vehicles from past and present that have and do operate from the current site. 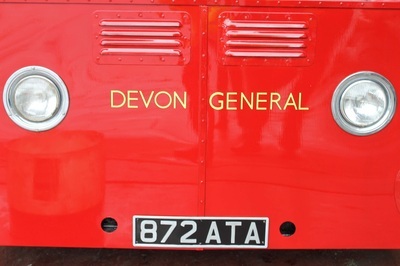 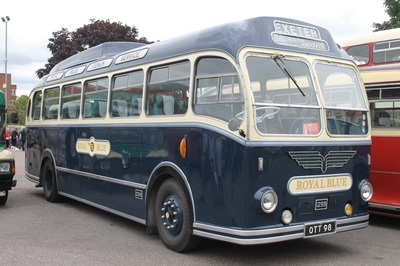 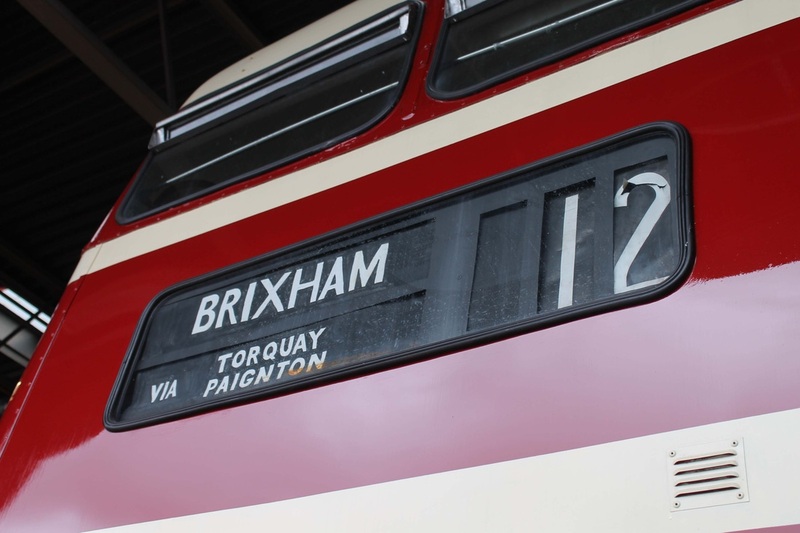 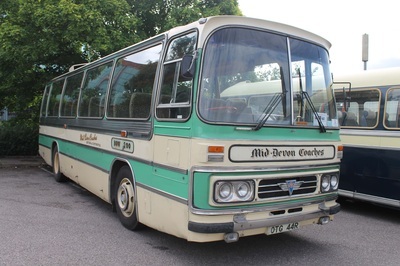 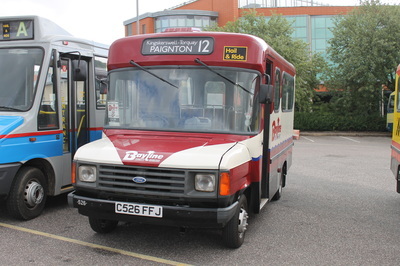 The local services were represented by Devon General vehicles whilst the long distance coach workings were represented by the classic Royal Blue coaches. 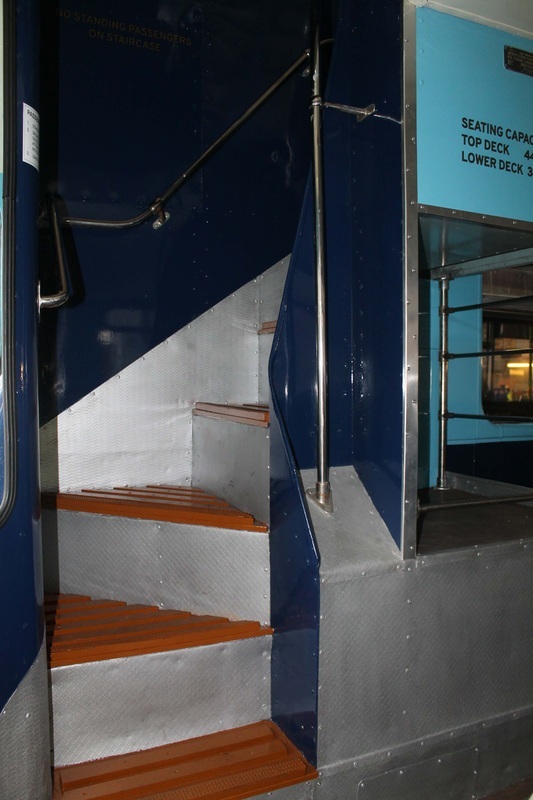 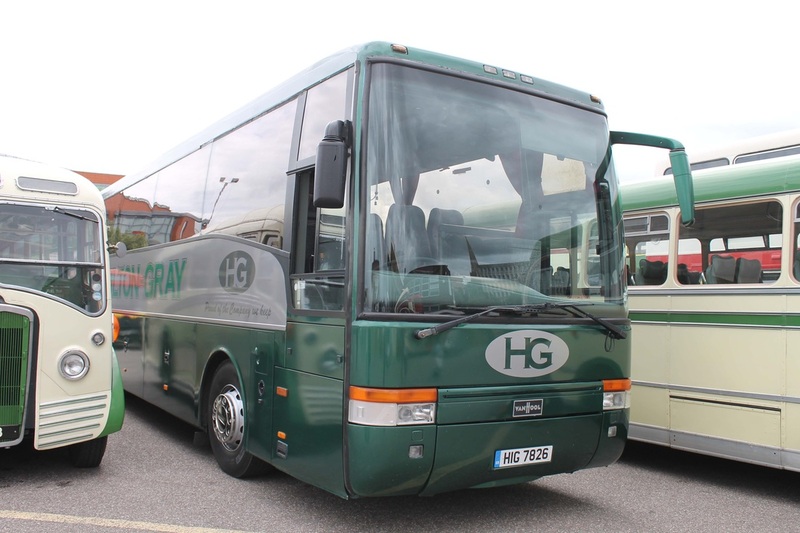 On top of this, the traditional coach tours were represented by the private, long distance, luxury coaches from a number of different operators. 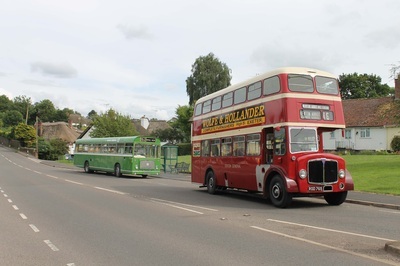 Throughout the day services operated out to a number of surrounding locations and recreated scenes from the 50's and 60's onwards. 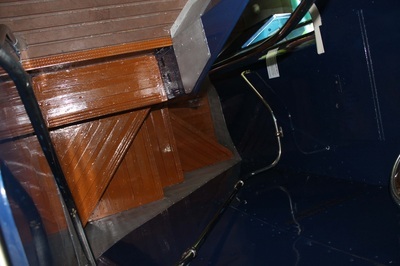 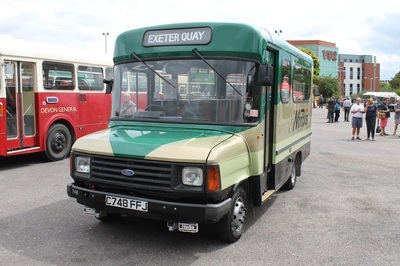 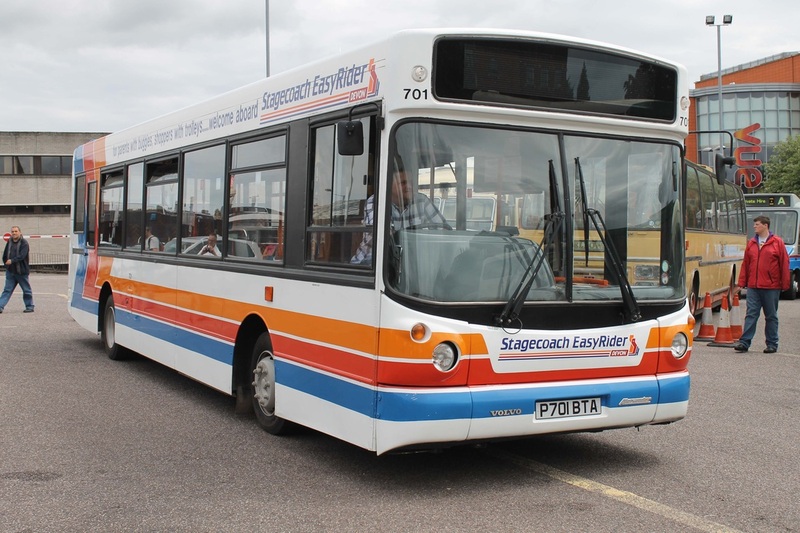 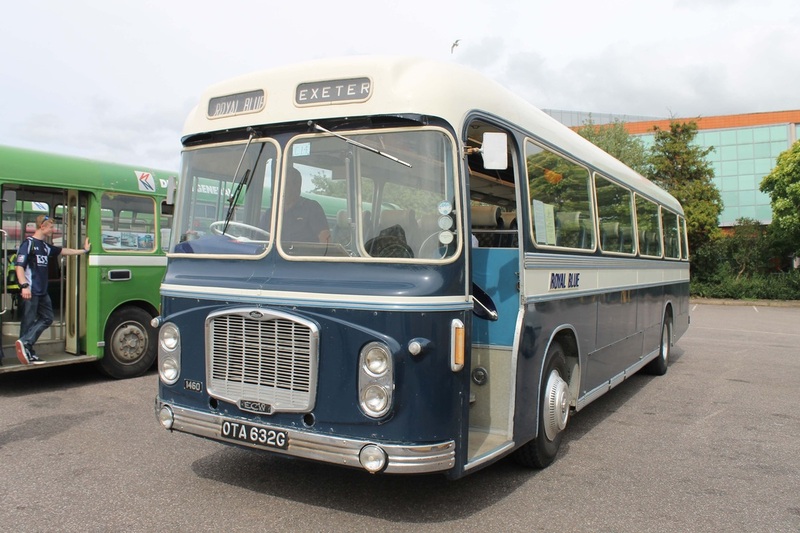 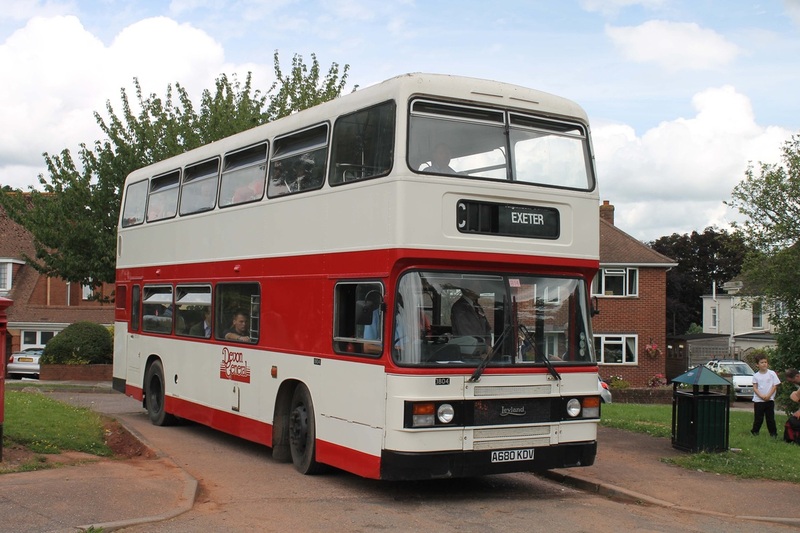 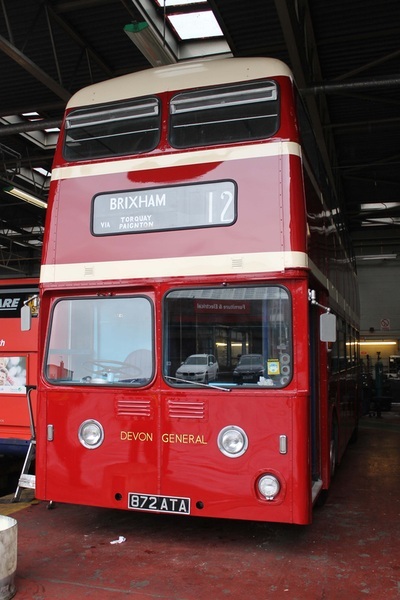 On top of this, the Exeter Stagecoach depot was open to the public for viewing. 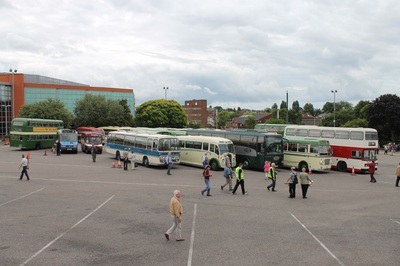 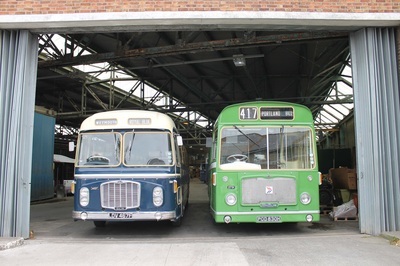 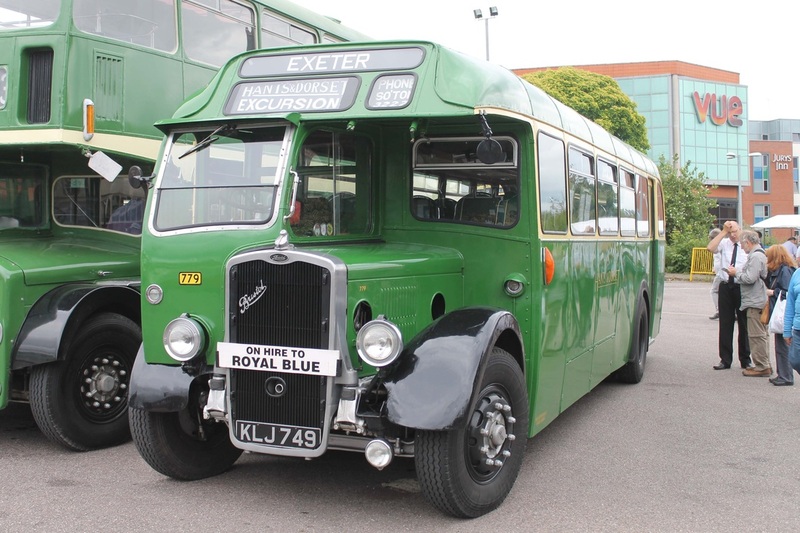 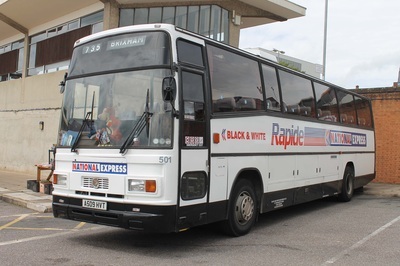 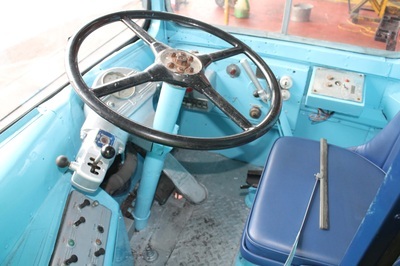 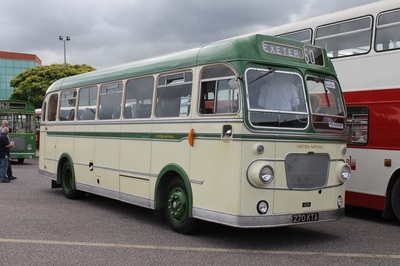 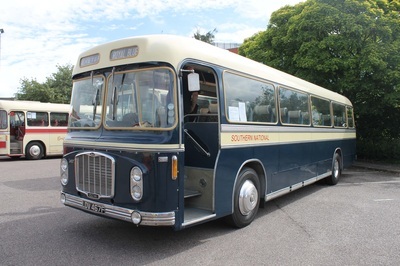 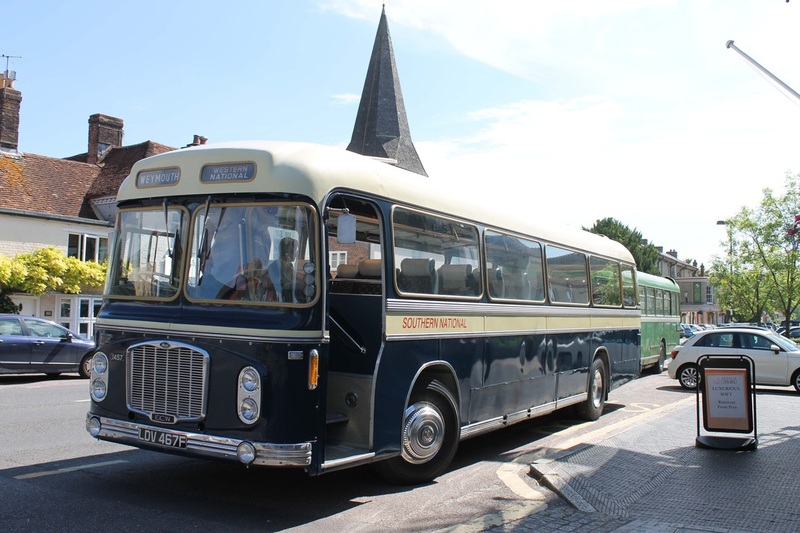 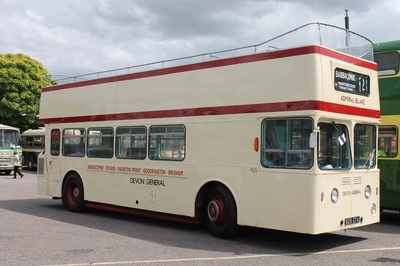 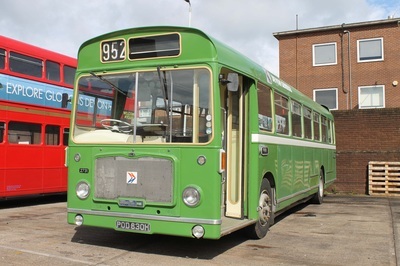 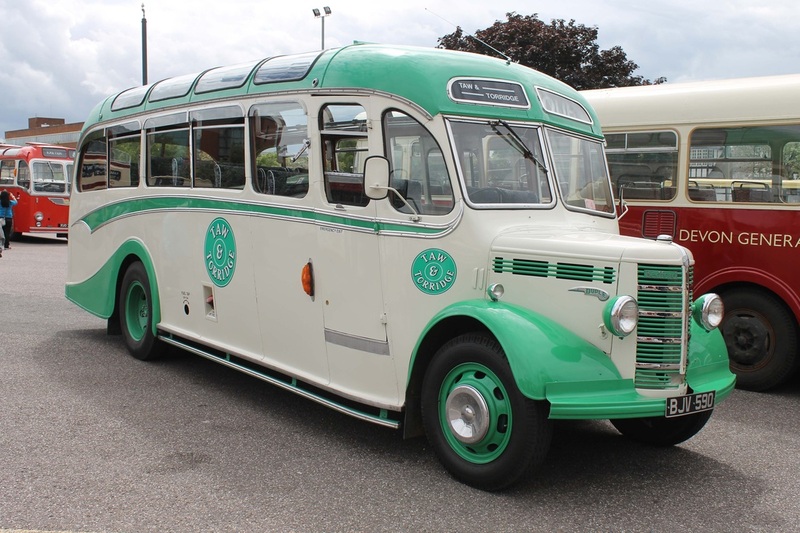 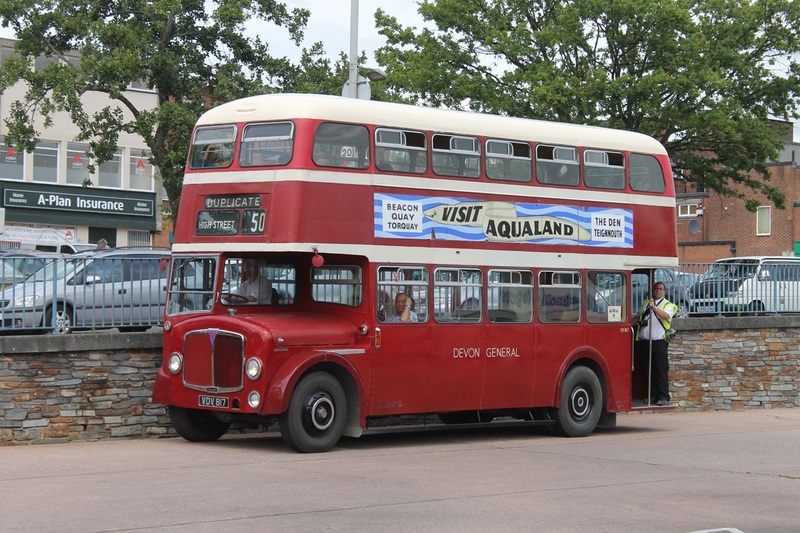 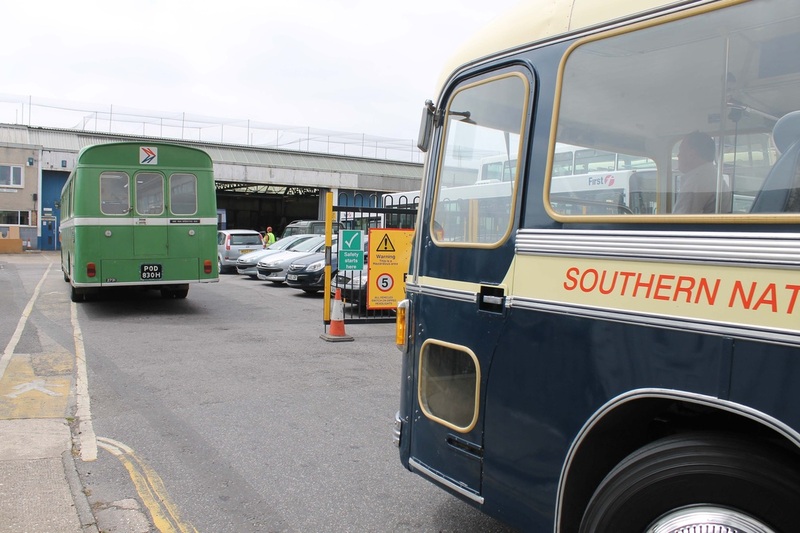 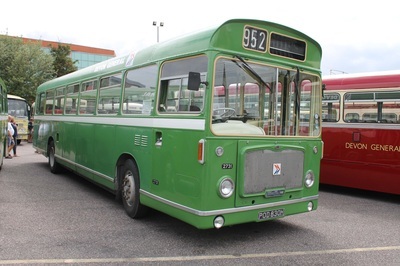 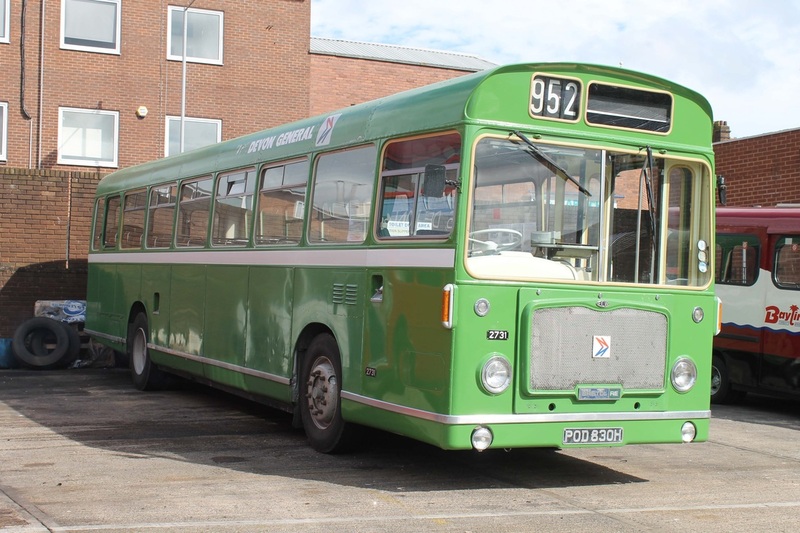 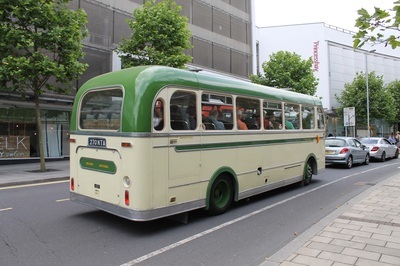 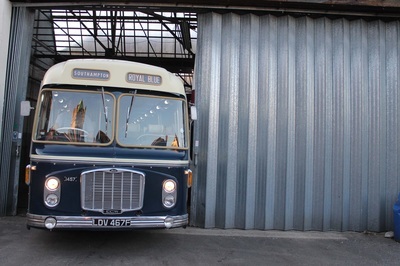 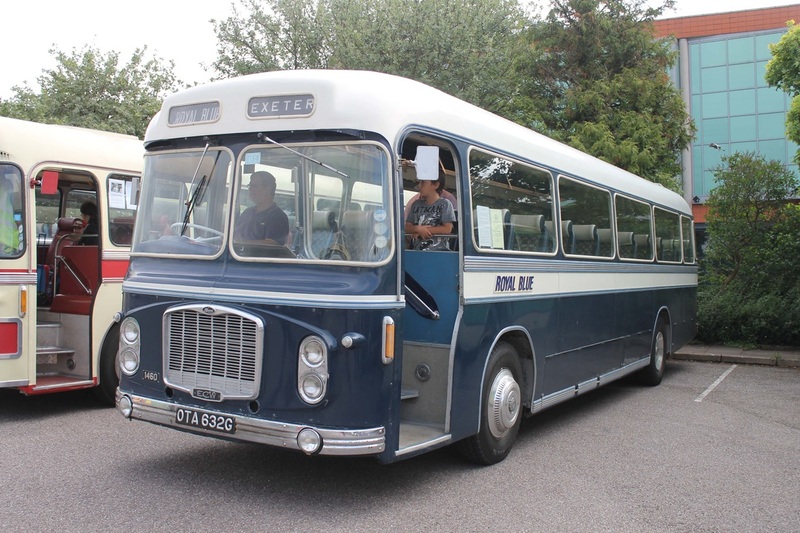 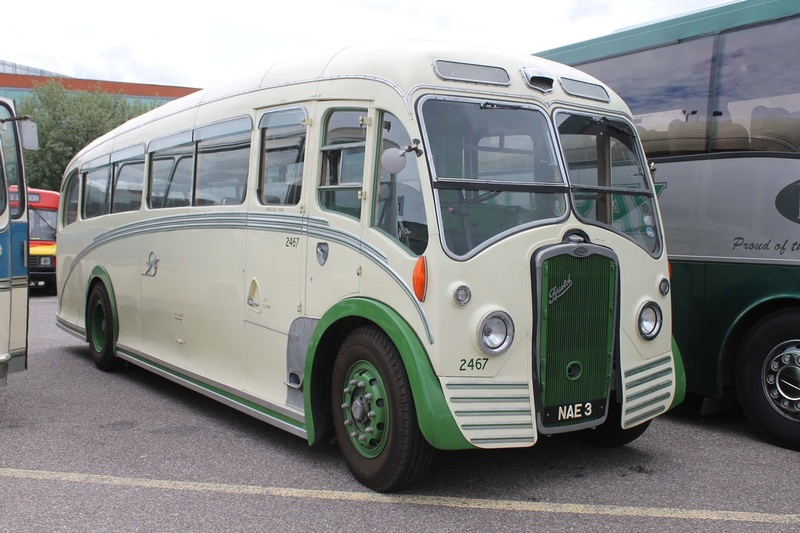 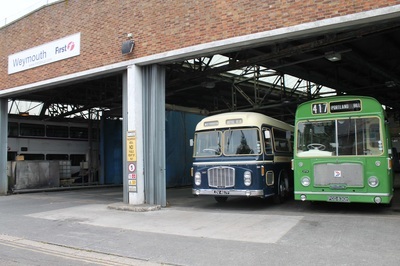 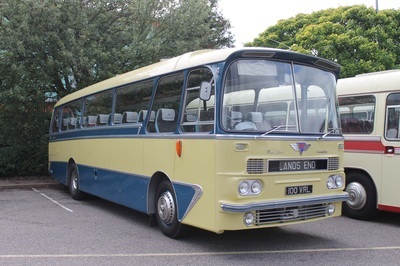 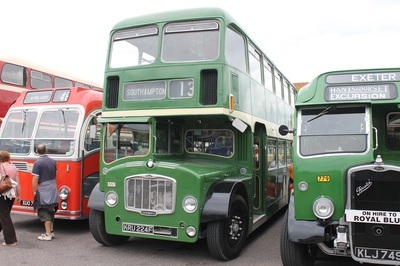 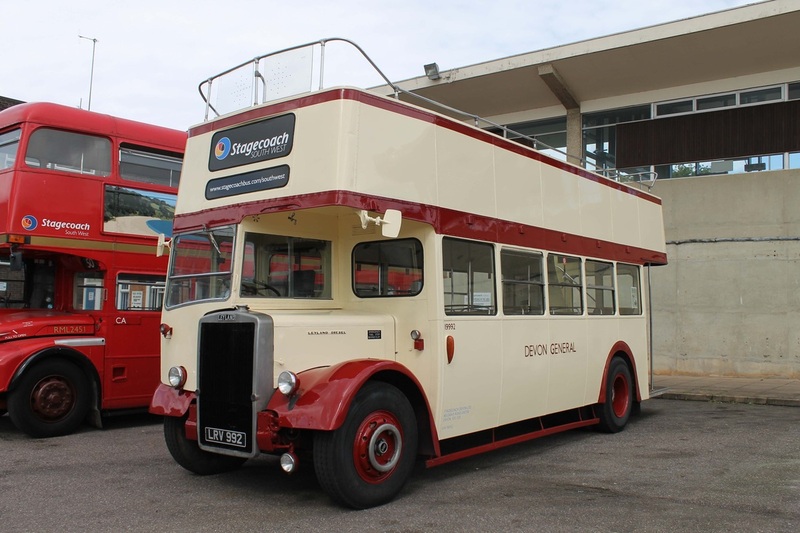 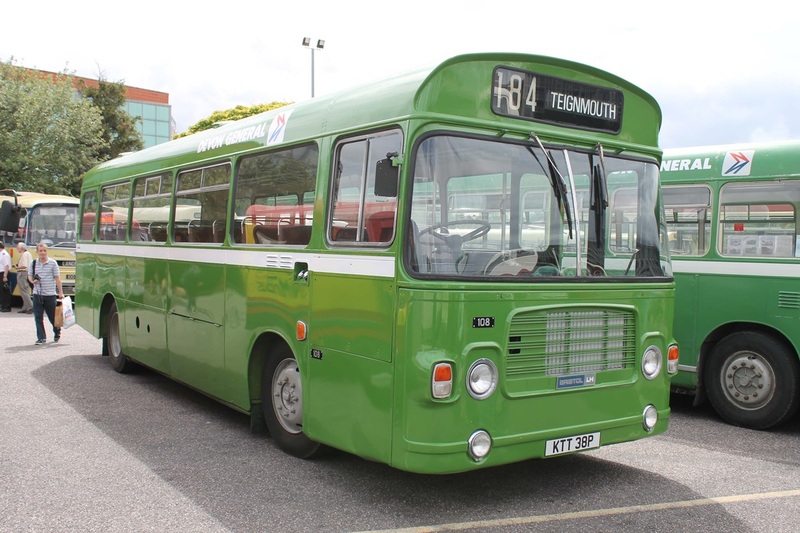 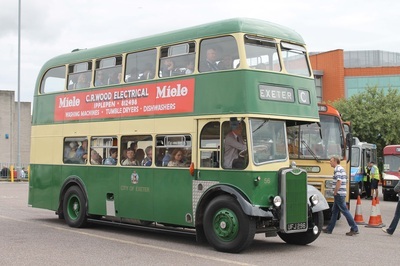 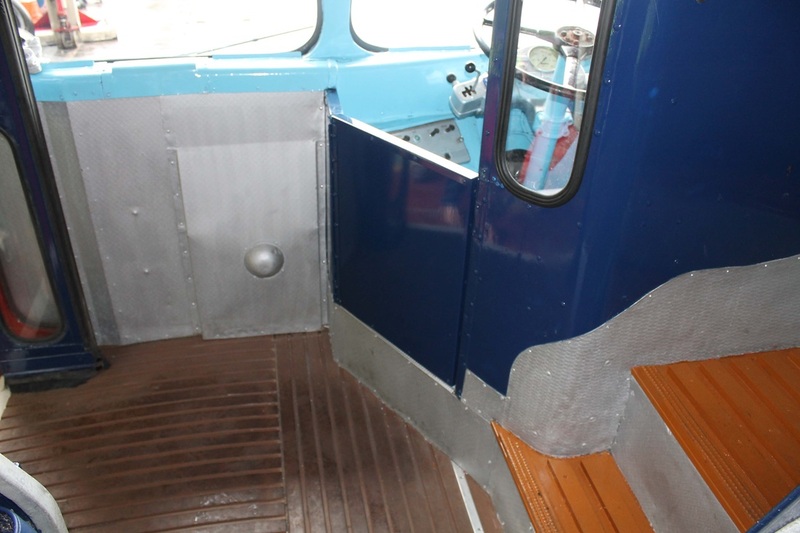 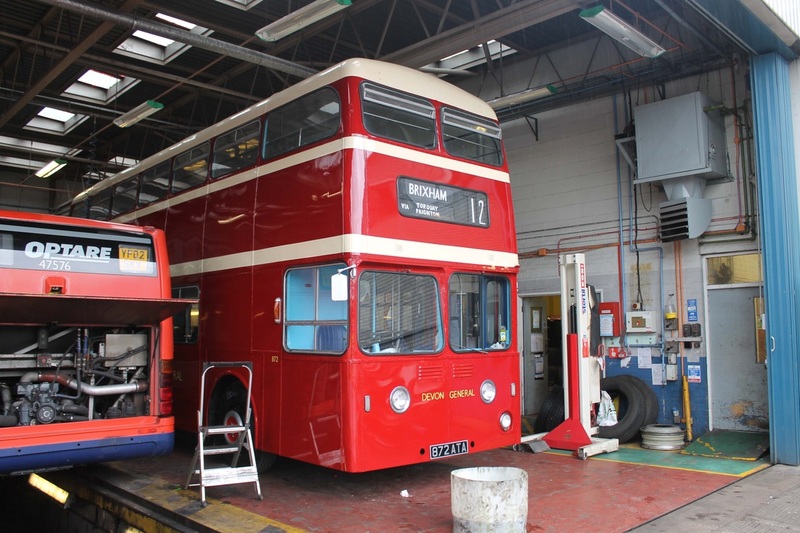 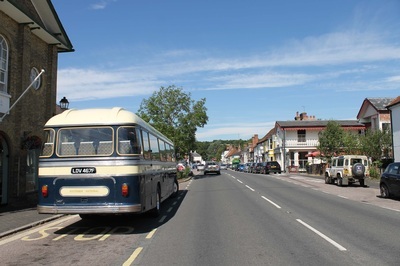 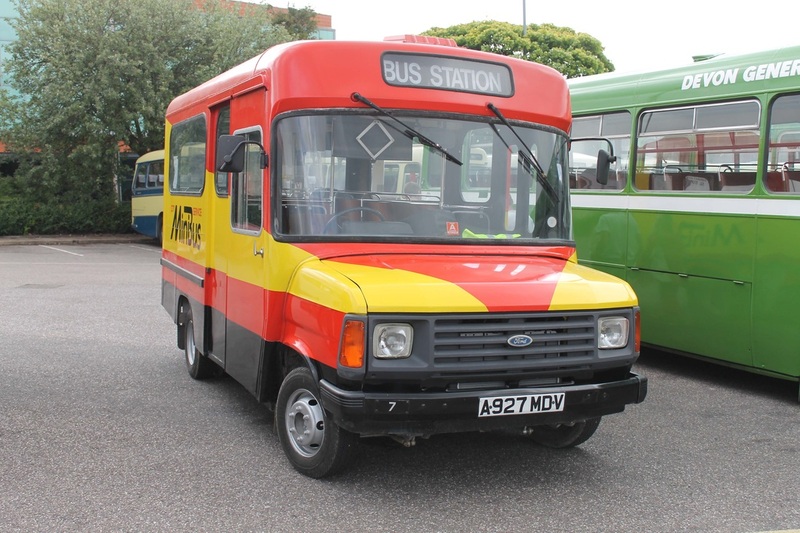 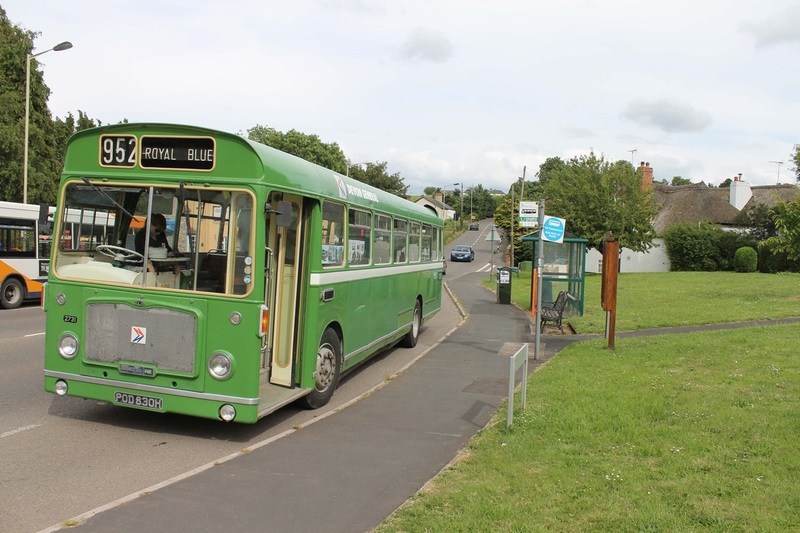 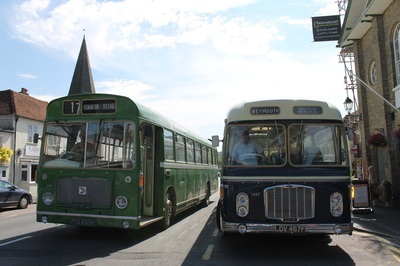 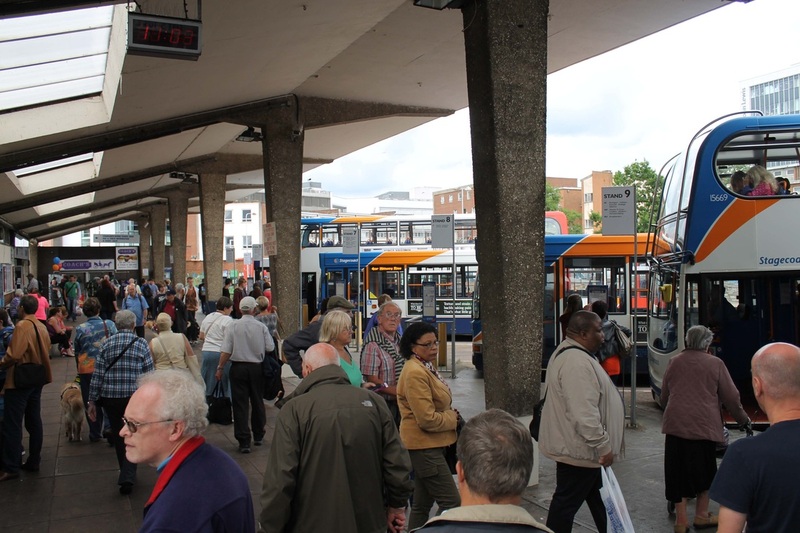 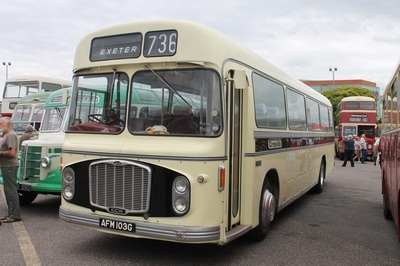 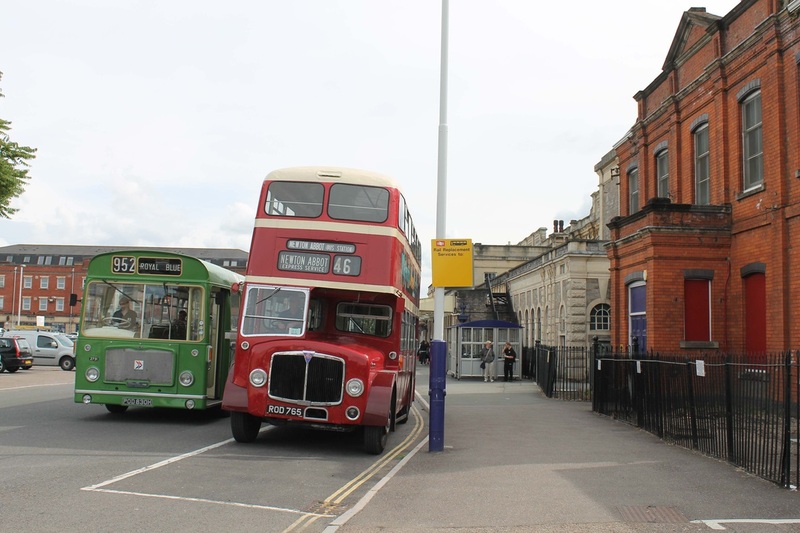 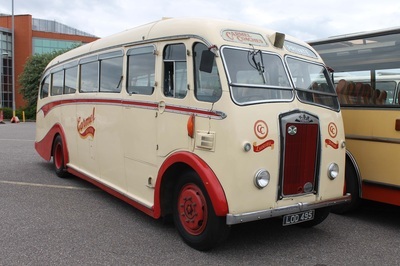 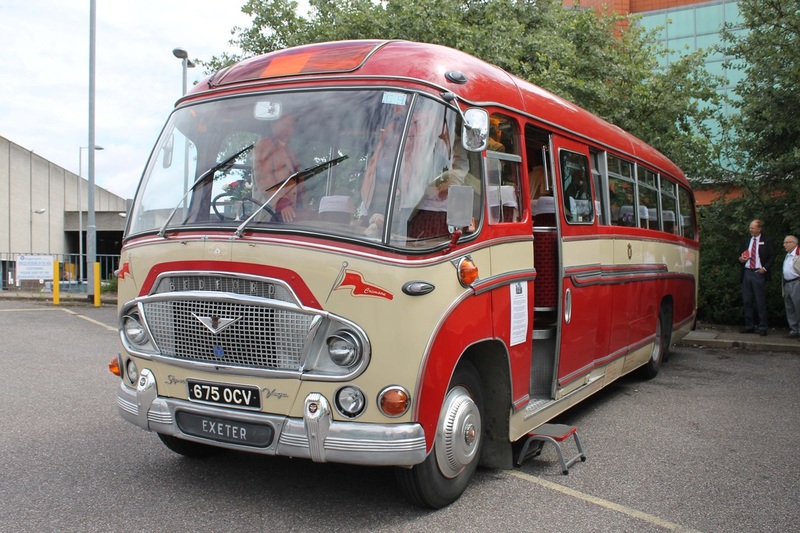 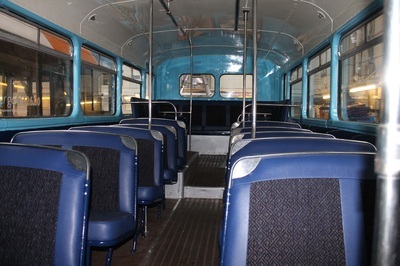 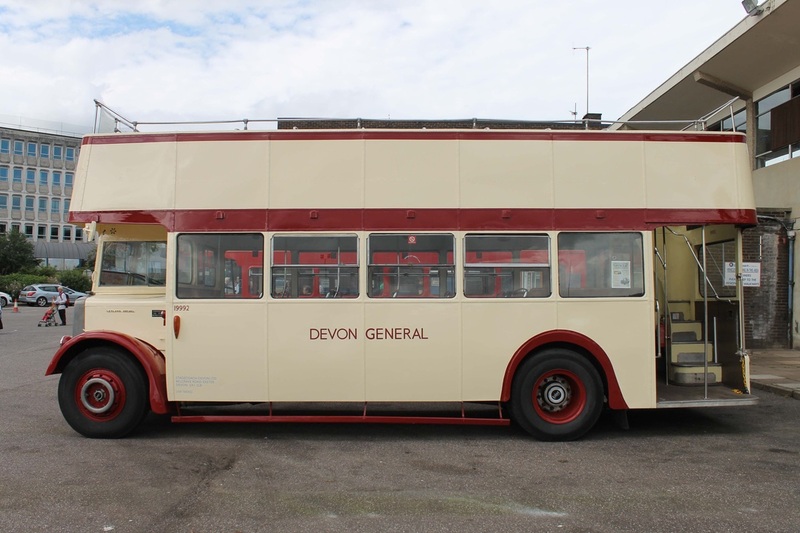 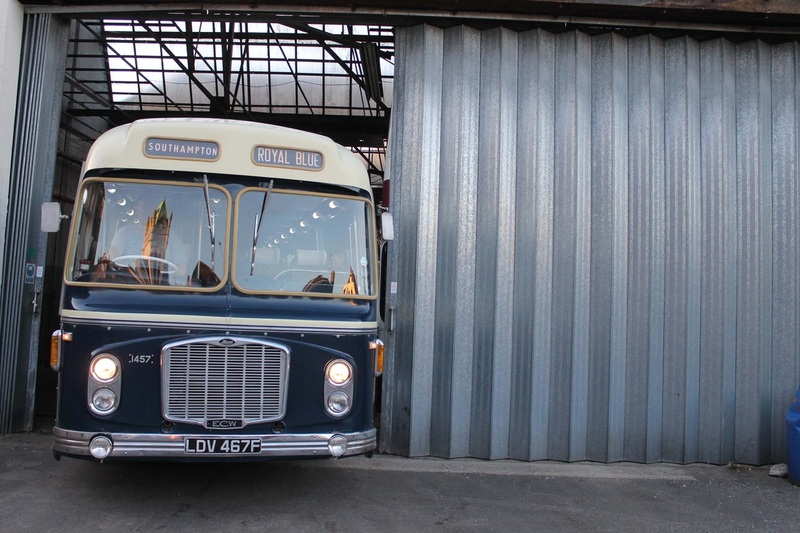 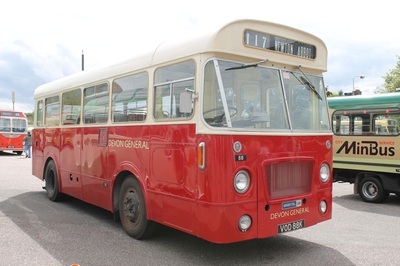 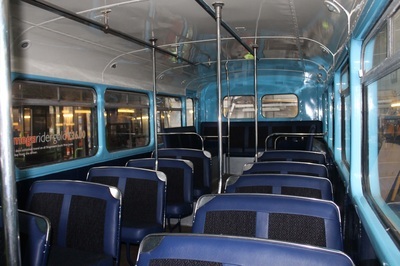 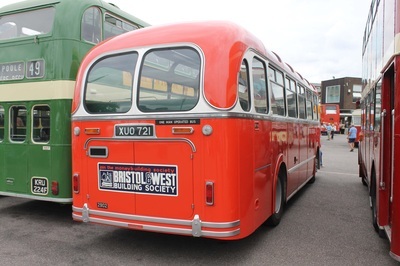 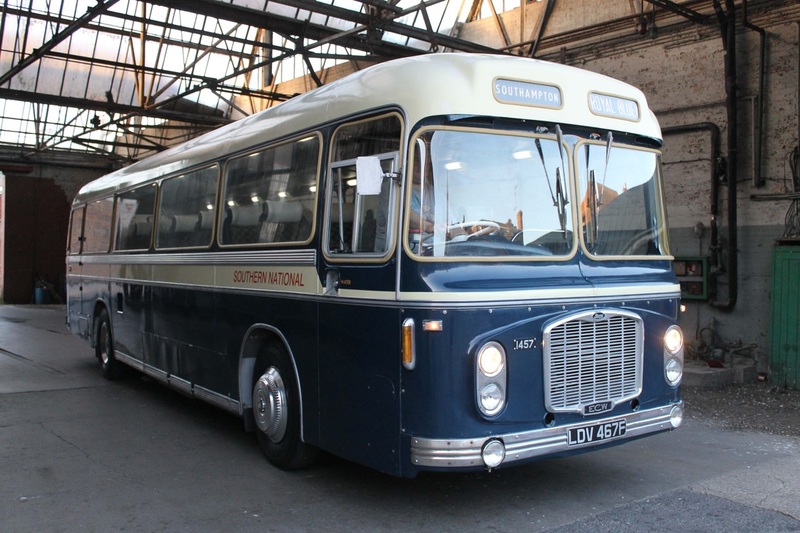 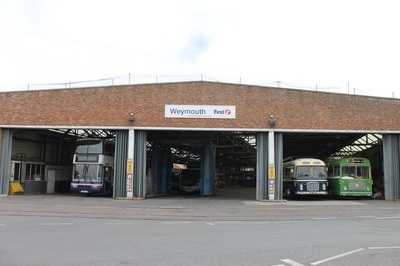 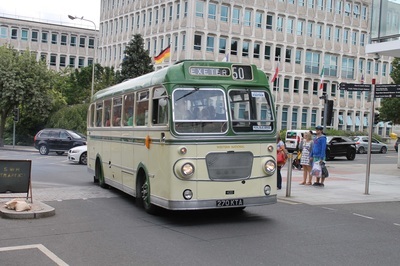 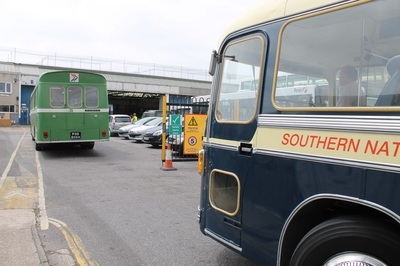 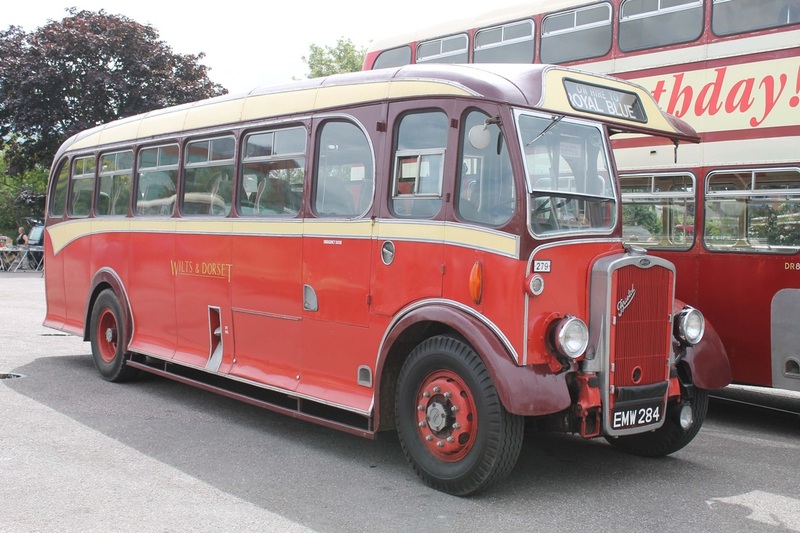 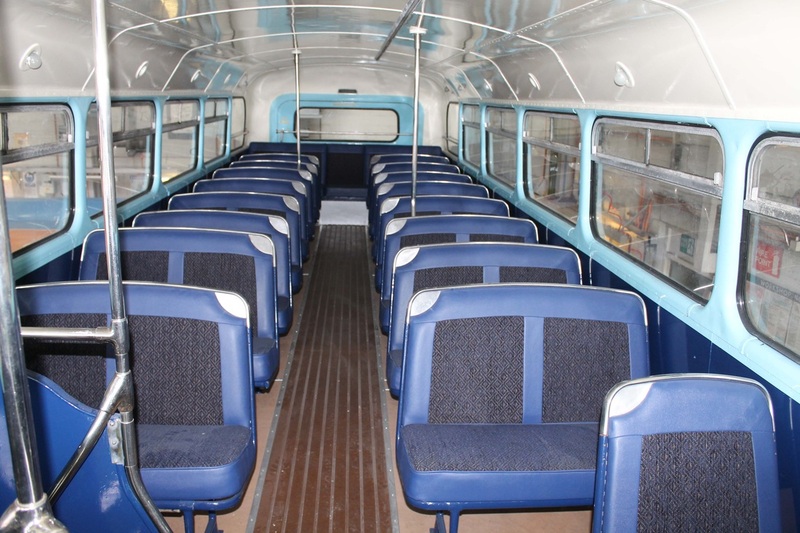 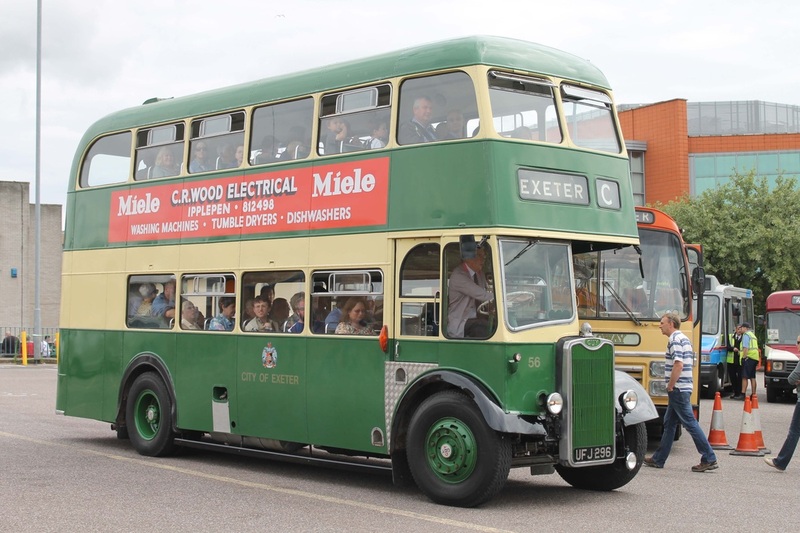 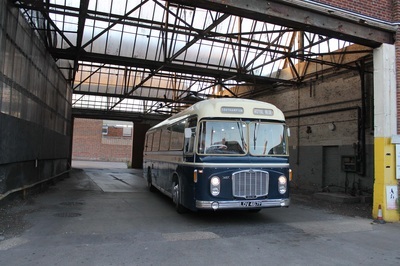 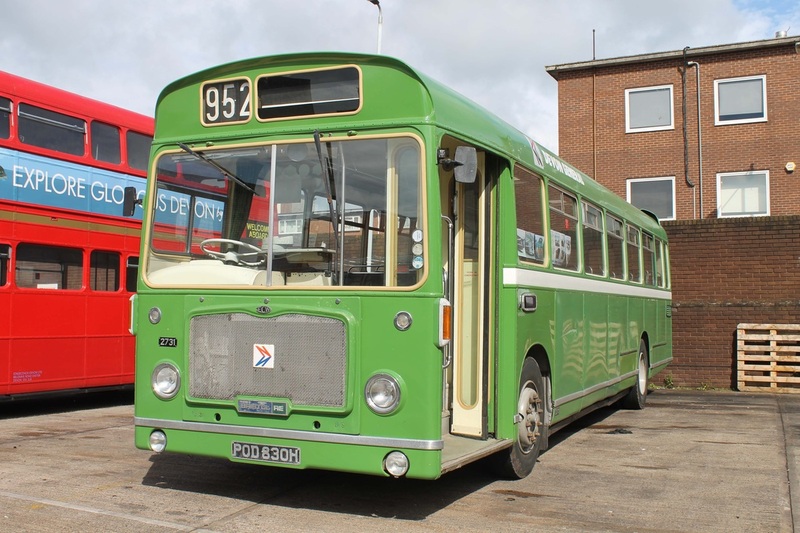 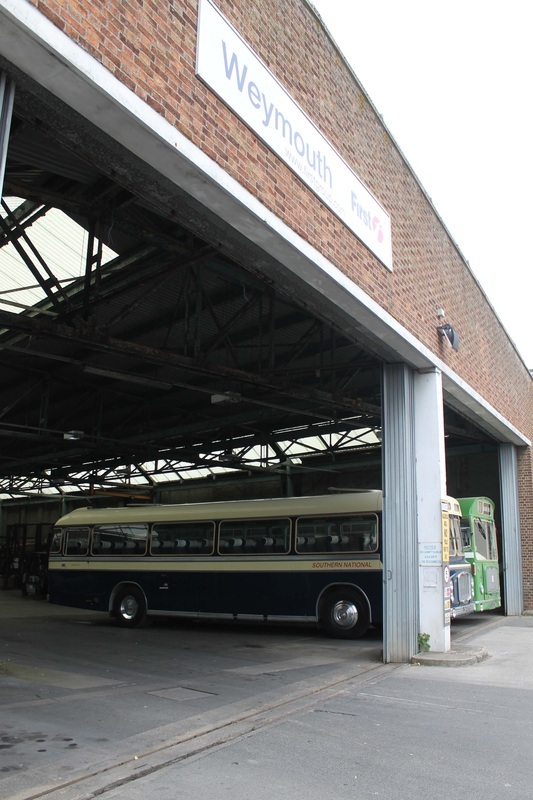 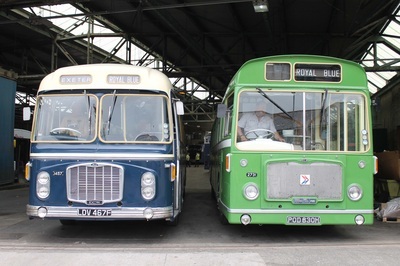 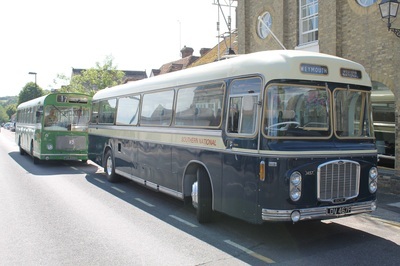 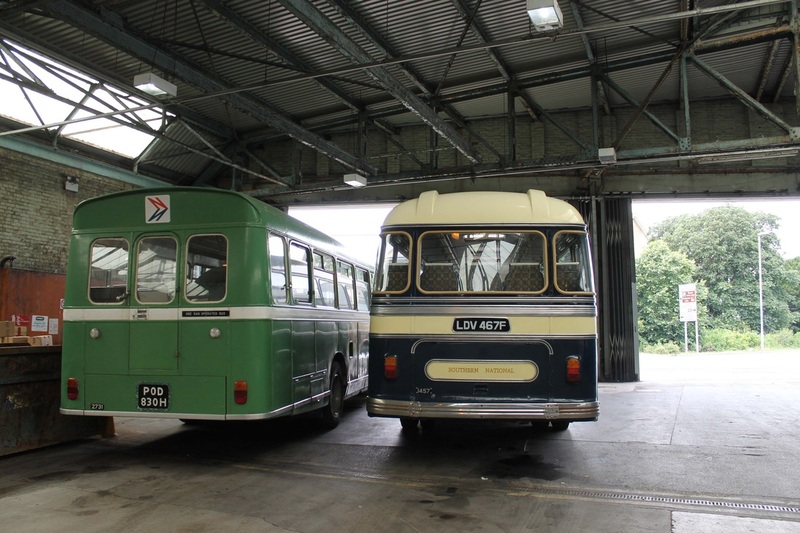 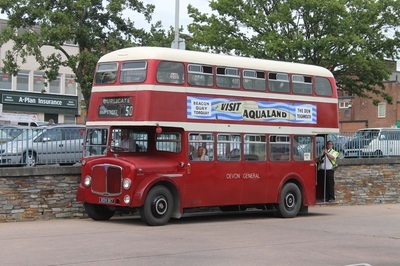 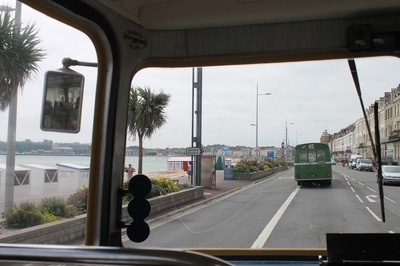 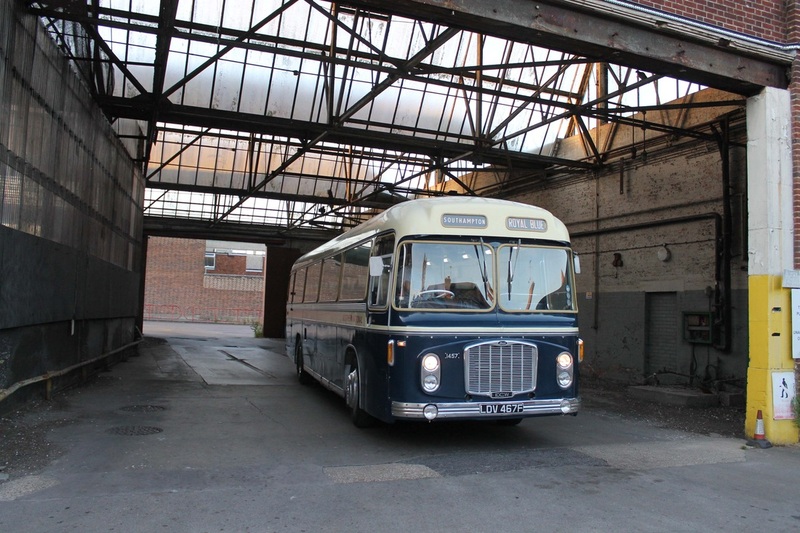 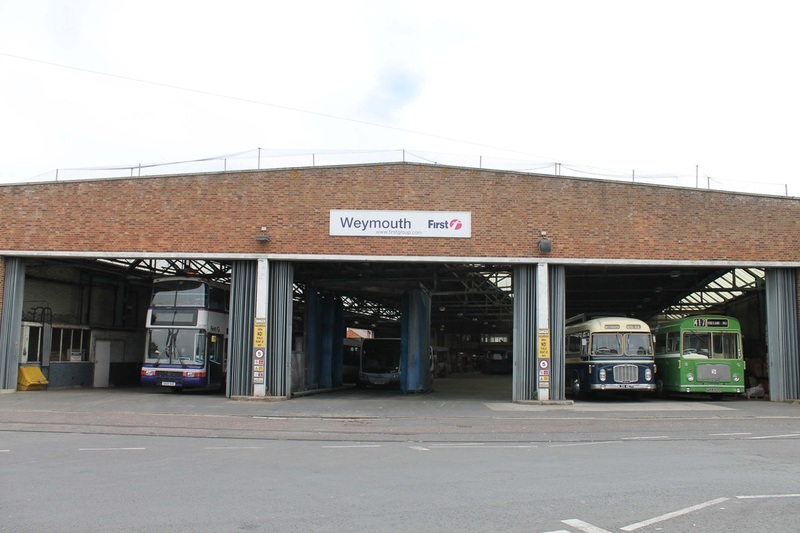 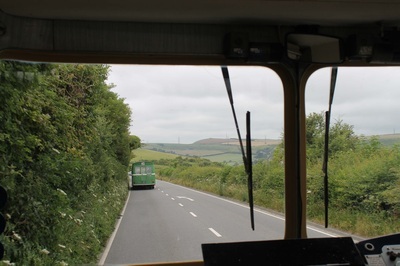 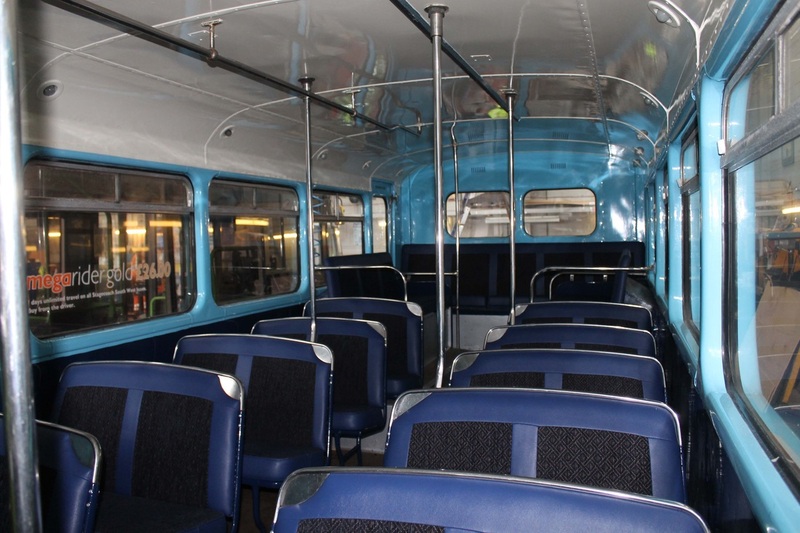 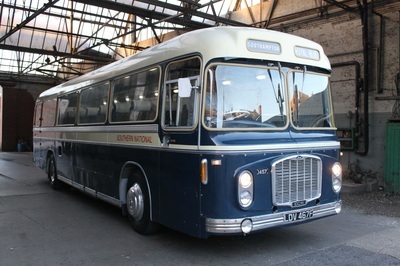 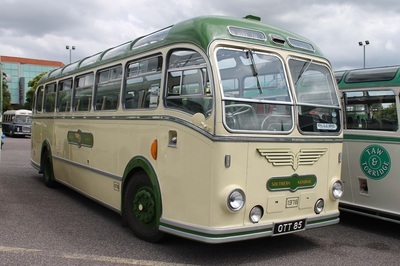 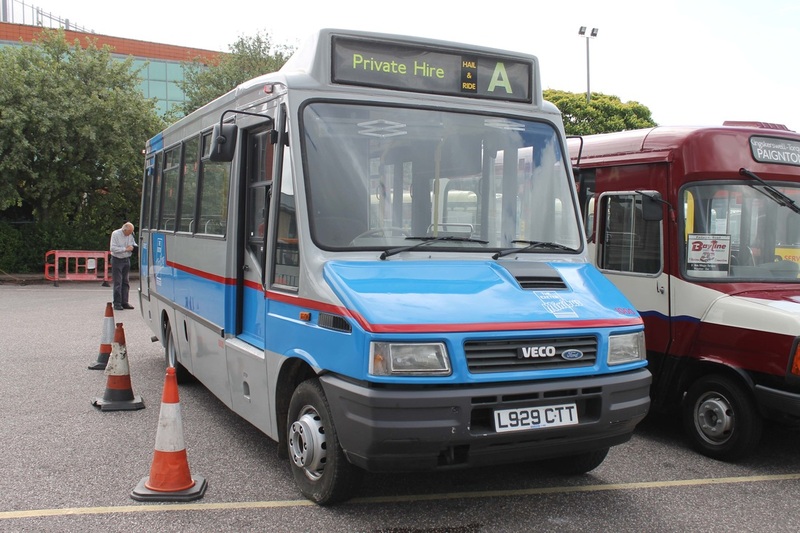 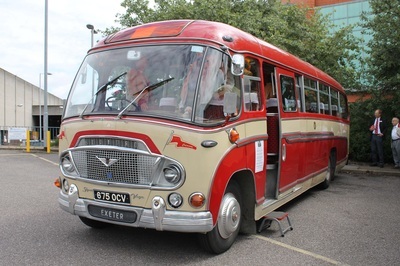 The old coach station held a static display of vehicles, a number of stalls selling different products, the terminus for local services and bus wash rides whilst stand E of the bus station held the departures of local services. Our vehicles travelled down from Hampshire on the Friday and enjoyed an evening out in the local area, visiting a number of local establishments before hitting the rally early on the Saturday morning. 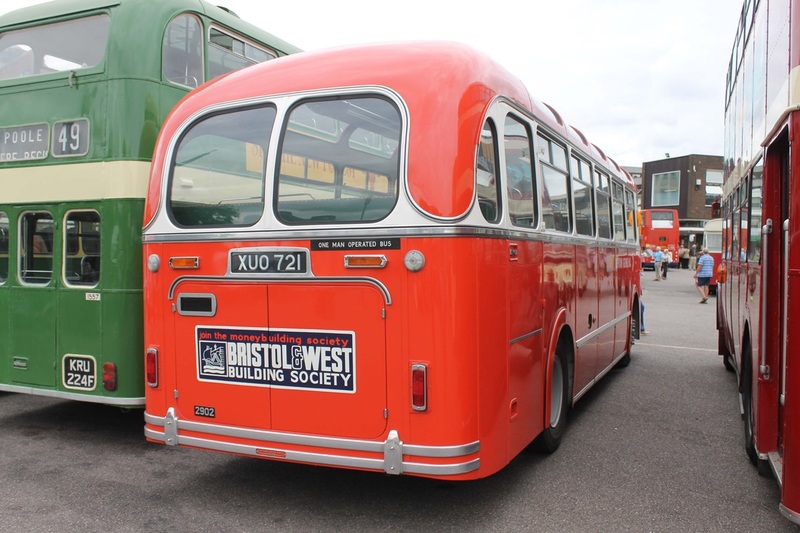 The staff and volunteers behind the organisation of the event deserve a pat on the back. 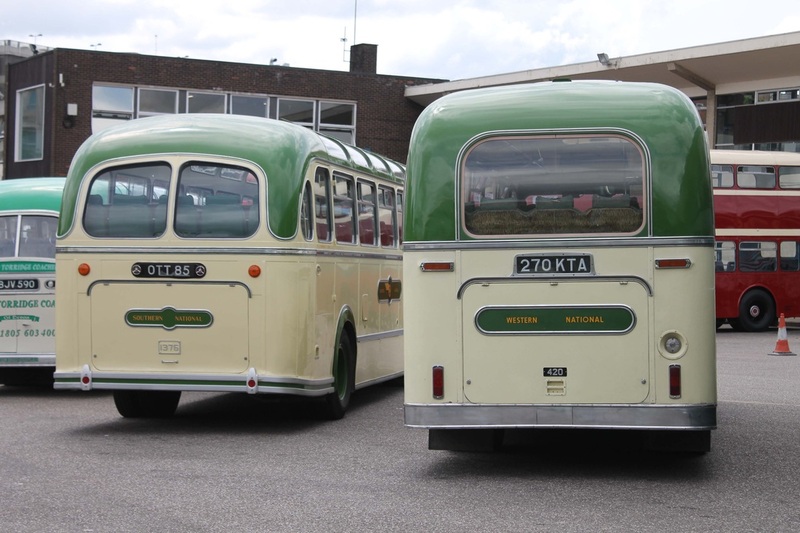 A cracking day was had by all. The pictures below show our trip down and the event.